MIS, NN and MM supervised the work. HA, SP and AA conducted the research. MIS designed. MA, SKG and SH facilitated in development of antiviral assays. ZK and MA provided administrative and financial support to this research. NDV, Antiviral activity, Cholistan, In Ovo assay. Exploiting plants for medicinal purposes is the biggest example of human’s utilization of nature. Although market is now flooded with no. of antimicrobial agents but demand of new drugs especially antiviral drugs is continuously rising. Extracts, powders, herbal teas, oil based emulsions of plants are already in use to treat viral diseases from hundreds of years but demand for new compounds is increasing (Vijanyan et al., 2004). Higher plants are rich source of antiviral drugs (Jassim and Naji 2003; Aslam et al., 2016; Shahzad et al., 2017). Recently a compound Nordihydroguaiaretic acid (NDGA) was isolated from leaves of Larrea divaricate and found very effective against Junin virus (Konigheim et al., 2005). Similar, compound was isolated from other species of genus Larrea and successfully tested against Herpes Simplex Virus (HSV) type I and II. These NDGA compounds are lignin in nature and they have inhibitory effect on transcription process of HIV viruses (Gnabre et al., 1995). Other plant based principal antiviral agents include proteins, polypeptides, peptides, furyl, sulphides, flavonoids, poly phenolics, terpenoids, coumarins and saponins (Cowan 1999). These plant based compounds are not only safe to use, easy and cheap to produce but also found more effective as compared to synthetic compounds. The studies have proved that plant based products work in more synergistic way and provide less chance to microbes to develop resistance against them (Solanki, 2010). Newcastle disease (ND) or commonly called as Rani Kheit is a highly infectious viral disease which affects poultry of all ages (Shahzad et al., 2011). ND outbreaks were on continuous rise during the period of 2011- 2012 in country. Most of the young commercial broiler flocks were damaged. There is no known treatment of ND in market except extensive use of vaccine (Kitazato et al., 2007). By keeping in view the devastating effects of ND on poultry industry and natural resourcefulness of Cholistani plants, the current study was designed to evaluate their antiviral potentials against NDV and provide cost effective remedy from local resources. Eleven fresh plants including Achyranthes aspera,Haloxylon recurvum,Haloxylon salicornicum, Oxystelma esculentum,Octhocloa compressa,Neurada procumbens, Panicum antidotale, Salsola baryosma, Suaeda fruticosa, Sporobolus icolados and Solanum surattense were collected from herbarium and surroundings of Cholistan Institute of Desert Studies, Baghdad ul Jadeed Campus, The Islamia University of Bahawalpur. 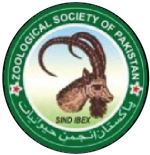 The plants were identified and authenticated by taxonomists at Department of Botany, The Islamia University of Bahawalpur and their vouchers were saved. New Castle disease virus (NDV) was obtained from depository of Biochemistry and Molecular Biology Lab, University College of Veterinary and Animal Sciences, The Islamia University of Bahawalpur and specific pathogen free (SPS) 9-11 days chicken embryonated (CE) eggs were obtained from Govt Hatchery, Model town A, Bahawalpur. The NDV was propagated in 9-11 days old CE eggs via chorioallantoic route (Sulaiman et al., 2011). For preparation of methanol extracts, the whole plants were collected and dried under shade at room temperature (RT) for 10 days. The dried plants were grinded by lectric grinder and kept in airtight containers at RT. Methanol extracts were made by dissolving 10 g powder of each plant in 200 mL methanol. The suspensions were kept in airtight containers for 96 h at constant shaking. Later, the samples were subjected to rotary evaporator and concentrates were rinsed with methanol and chloroform mixture and allow them to re-evaporate. Finally the precipitates were weighed and dissolved in 10 mL distilled water, vortexed, filter sterilized and stored at -20 °C (Joshi and Kaur, 2013. For viral inoculations, 9-11 days old CE eggs were candled before inoculations. The broader ends of eggs were swabbed with 70% alcohol and drilled manually with sterile needle. The inoculum was injected and hole was sealed with molten wax. The inoculated eggs were incubated at 37°C for 48 h. Later the eggs were harvested and HA test was performed (Wang et al., 2008). Standard HA test was optimized to quantify the titer of ND virus. For in ovo antiviral assay, the filter sterilized plant extracts were mixed with equal vol. of viral inoculums and injected in 9-11 days old CE eggs. Different concentrations of plant extracts (25-100 mg) were tested against NDV. Autoclave distilled water was used as negative control and NDV as virus control. HA titers were determined after each experiment and change in HA titer as compared to virus control was noted (Table I). IC50 of each extract was calculated by serial dilution method. The desired HA titer i.e. 2048 of NDV was achieved after 6th passage. In initial experiments, when 100 mg dose of plant extracts were tested against NDV eight out of eleven extracts were found very effective and kept HA titers at 0. The remaining three plant extracts were also effective but their HA titers were 8 (Table I). In later experiments, different concentrations of plant extracts were were made and tested against NDV and IC50 value of each extract was calculated. The methanolic extracts of A. aspera and H. salicornicum were best among all and their IC50 values were 3.125 and 6.25 mg, respectively. Among other plants the extracts of S. surattense, S. fruticosa O. compressa and H. recurvum have shown 100% anti-NDV activity in their higher concentrations including 100 and 75, respectively but these plants lost the potential gradually in lower concentrations (Table I). The extracts of plants N. procumbens and O. esculentum were next in order and they have controlled NDV very effectively only in higher concentrations (100 mg) but later they lost their potential gradually. The potency of these extracts has direct relationship with concentration of extracts and their antiviral activities. The antiviral potentials of plant extracts of P. antidotale, S. baryosmaand S. icolados, were least effective in antiviral category and none of them has reduced HA titer at 0 through any concentration (Table I). All plant extracts were found effective against NDV but in varying order. Initially, all plant extracts were tested at higher concentrations i.e. 100 mg all of them were found effective against NDV. It was worth mentioning that all plant extracts were found nontoxic at 100 mg and all embryos were found alive after inochoulations and similarly, no change in shape of RBCs, rupturing of blood vessels and hemolysis was seen by these extracts. The extracts of A. aspera and H. Salicornicum plants were the most potent and rich source of anti-NDV agents. These extracts were equally effective at 25 mg concentration as they were effective at 100 mg concentrations. The extracts of rest of plants were also found effective but in varying order. Even the lowest ranked extract of S. baryosma, was active against NDV at 100 mg concentration. These results indicate that Cholistani plants are naturally rich source of anti-NDV agents. There is no known drug against NDV except few herbal products (Mabiki et al., 2013). Similar studies were done by Bedoya et al. (2001) on plants from Iberian Peninsula and screened various medicinal plants of this region for their anti HIV activity on HIV-infected cells. Wang and Lu (1995) has reported antiviral activity from extracts of Geranium carolinianum L. In another report, its aqueous extract was found effective against HBV and help in improving the clinical data of patients (Zhu and Ren, 1995). In recent studies done by Gescher et al. (2011) the aqueous extract of Rhododendron ferrugineum was positive against Herpese Simplex Virus type 1 (HSV-1) while negative against adenovirus. Table I.- Anti-NDV activities from methanolic extracts of Cholistani plants and their IC50. The antiviral research study against AIV by Ehrhardt et al. (2007) provides the basis for further research on plant based anti-adhesive compounds. The results of these studies were in accordance of results of other researchers like Gonzalez et al. (2012). They have reported a plant based compound Fucoidan from C. Okamuranus, which was found very active against NDV. Similarly antiviral activities against Vaccinia, NDV and HBV were reported by Premnathan et al. (1992) by using methanol extracts of mangroves, seagrasses and seaweeds, of India’s southeast coastal region. Similarly, Usha and Sharma (2012) have tested aqueous, ethanol and methanol extracts of C. crista L. and found them effective against NDV. Similar results were found from fruit pulp and leaf extracts of Momordica balsamina against NDV (Chollom et al., 2012). Similar studies against other poultry viruses are also reported like Ahmed et al. (2014) has reported anti-IBDV activity from ethanol extracts of Glycyrrhiza glabra, Moringa oleifera, Phyllanthus emblicus and Eugenia jambolana. Pant et al. (2012) have proved that hydro- alcoholic extract of Withania somnifera roots was rich in anti-IBDV compounds. Similarly, Park (2003) has reported anti-AIV activity from methanol extracts of four different Korean plants. Ramzi et al. (2006) have reported antiviral activities against AIV and HSV-1 from their methanol and hot aqueous extracts of Boswellia ameero, Boswellia elongata, Buxus. hildebrandtii, Cissus hamaderohensis, Dracaena cinnabari, Exacum affine, Cleome socotrana, Jatropha unicostata and Kalanchoe farinacea. Chen et al. (2014) have studied moderate anti infectious bronchitis virus (IBV) activity from ethanol extracts of Sambucus nigra fruit. Different researchers have suggested different mechanisms of antiviral activities from different extracts of medicinal plants, some have anticipated the loss in attachment of the virus to host cell surface especially at early stages of infection or some have suggested the inhibition of essential enzymes required for growth or multiplication of virus. Some have reported the protein or polypeptide nature of antiviral compounds (Bajpai and Chandra, 1990). There is no known treatment of New Castle Disease except some herbal extracts. Cholistani plants have highlighted huge antiviral potential to treat NDV. Although Cholistani plants were reported for number of pharmacological activities but this is the first report of their antiviral potential especially against NDV. We acknowledge the services provided by Govt. Poultry Farm, Model Town A Bahawalpur in terms of providing embryonated eggs. We are thankful to Mr. Ghulam Sarwar, Lecturer, Department of Life Sciences, who has helped in taxonomic characterization of plants. Similarly, we are thankful to Mr. Izhar, Lab Attendant, Biochemistry and Mol. Biology Lab, UCVAS at The Islamia University of Bahawalpur. Ahmed, W., Ejaz, S., Anwer, K. and Ashraf, M., 2014. Cen. Eur. J. Biol., 5: 531-542. 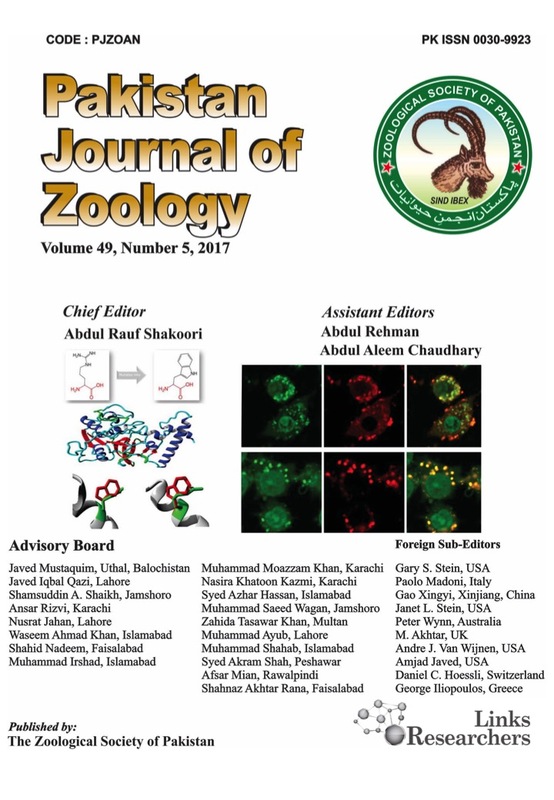 Aslam, A., Shahzad, M.I., Parveen, S., Ashraf, H., Naz, N., Zehra, S.S., Kamran, Z., Qayyum, A. and Mukhtar, M., 2016. Pak. Vet. J., 36: 302-306. Bajpai, S.K. and Chandra, K., 1990. Fitoterpia, 61: 3-8. Cowan, M. M., 1999. Clin. Microbiol. Rev., 12: 564-582. Gnabre, J.N., Bates, R.B., Caldera, S. and Huang, R.C., 1995. Tetrahedron, 51: 12203-12210. Joshi, M. and Kaur, S., 2013. Asian J. Pharm. Clin. Res., 6: 25-28. Kitazato, K., Wang, Y., Kobayashi, N., 2007. Theriogenology, 1:14-22. Konigheim, B.S., Golenioswki, M.E. and Contigiani, M.S., 2005. Drug Design Rev., 2: 81-83. Pant, M., Ambwani, T. and Umapathi, V., 2012. Ind. J. Sci. Technol., 5: 2750-2751. Shabbir, M.Z., Zohari, S., Yaqub, T., Nazir, J., Shabbir, M.A., Mukhtar, N., Shafee, M., Sajid, M., Anees, M., Abbas, M., Khan, T.M., Ali, A.A., 2013. Virol. J., 10: 170-173. Shahzad, M., Rizvi, F., Khan, A., Siddique, M. and Khan, M.Z., 2011. Int. J. Agric. Biol., 13: 266-270. Solanki, R., 2010. Int. J. Comp. Pharmacol., 1: 1-4. Sulaiman, L.K., Oladele, O.A., Shittu, I.A., Emikpe, B.O., Oladokun, A.T. and Meseko, C.A., 2011. Afr. J. Biotech., 20: 4256-4258. Usha, P. and Sharma, M.C., 2012. Glob. J. Res. Med. Pl., 1: 440-447. Vijanyan, P., Raghan, C., Ashok, G., Dhanaraj, S.A. and Suresh, B., 2004. J. Med. Res., 120: 24-29. Wang, Y.L. and Lu, J.J., 1995. J. Trad. Chinese Ophthalmol., 5: 78-82. Zhu, M. and Ren, J.J., 1995. Acta Acad. Med. Suzou, 15: 11-22.